Mineral insulated PT100 RTD sensors consist of a flexible soft annealed sheath in a range of materials, with a mineral insulated (MI) core encapsulating copper signal cable. 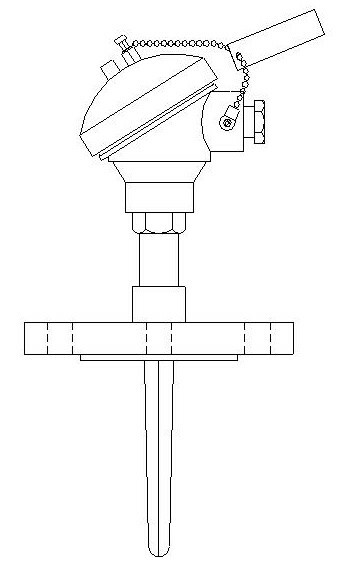 The sensors can be specified in any length, and are available in a wide range of diameters. Useful in applications where high temperature resistance, sheath flexibility and long length is required. Completed probes are constructed from lengths of mineral insulated cable (MICC). This consists of copper wires (supporting 2, 3 or 4 wire connection and single or duplex) encapsulated in a mineral insulated (MI) core of Magnesium Oxide, inside a soft annealed metal skin. Mineral insulated probes can be specified in a range of metals, specified in any length, and are available in a wide range of diameters, both Imperial and Metric. Mineral insulated PT100 probes can be purchased with a wide range of process connection fittings, termination arrangements (plugs, heads) and temperature transmitters to ensure the MI probes can be easily integrated into the process. Flexible sheath material in Grade 316L, Grade 310, Grade 321 stainless steel or Inconel. Available in various diameters from as small as 2.5mm to 8mm. Any length. Available in PT100 RTD (Class B, Class A, AA as IEC 60751:2008, also 1/10 DIN). For thermocouple versions see product MIT configuration. 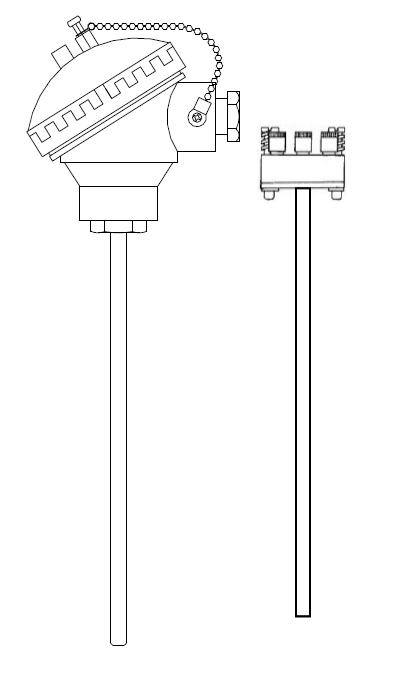 Single, duplex or triplex sensors (dependent on sheath diameter). The soft annealed stainless steel sheath allows bending/flexing to shape and fit for easier installation. Plain sheath MI with cold seal pot and flying leads in Teflon or glass fibre. Bare DIN plate, ceramic terminal block or temperature transmitter.